He made the suggestion on public radio on Sunday. The comments come as his nationalist Fidesz party gears up for European Parliament elections on May 26. "People are a bit angry with us in Brussels because, at the start of the European Parliament election campaign, we ran an information campaign in Hungary, essentially exposing what Brussels was up to,” Orban said. "Our job now is to continuously inform the people about what Brussels is up to," said Orban in the interview. The recent poster campaign, which features a picture of both Juncker and Hungarian-American billionaire George Soros, says Hungarians "have the right to know what Brussels is about to do," before making several claims about EU proposals that would "threaten Hungary's security." Relations between EU institutions and Orban soured during the 2015 migration crisis when Orban closed Hungary's borders to refugees and asylum seekers. Then last year, a majority of EU lawmakers backed a motion to launch the punitive process of the EU treaty’s Article 7 against Hungary. The European People's Party (EPP) on Wednesday voted to suspend Orban's Fidesz party, amid concerns it had violated the EU principles on the rule of law. 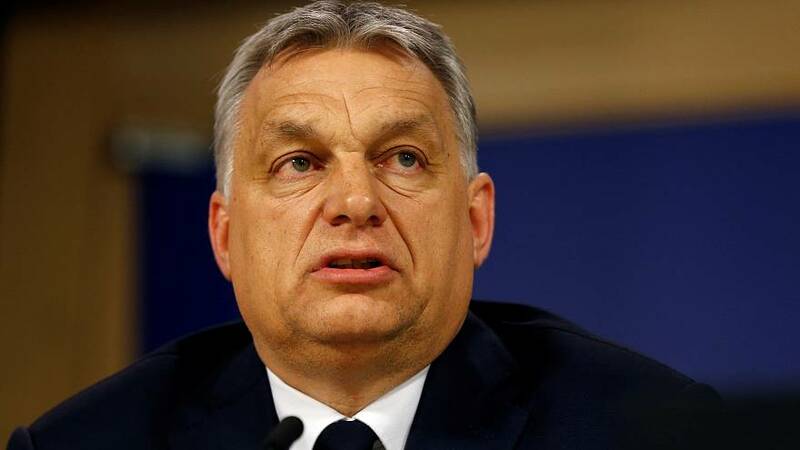 Weeks earlier, Orban had written a letter apologising to the members of the EPP and ended the attacks but his tone on the radio on Sunday were of a combative nature, according to Reuters. One of the conditions for Fidesz to stay in the EPP group is to stop campaigning against Brussels, according to Manfred Weber, the top candidate and the leader of the EPP fraction in the European Parliament.